Evidence is found all over the Earth that humans have existed for many thousands if not millions of years even though the oldest recorded historical record reaches no more than about eight thousand years into the past. The oldest surviving records about the pre-flood era . . . known as the antediluvian period . . .are mostly found in the Book of Genesis, the Epic of Gilgamesh, and the Book of Enoch. Except for the Gilgamesh story, inscribed on clay tablets uncovered in ancient Mesopotamian ruins, the books have been subjected to the handiwork of church scribes, always with Christian agendas, for so long there is question as to their original content. The stories also are thought of as fiction, much like Greek and Egyptian myths carried down from ancient times when story telling was a form of public entertainment. Thus there also is question as to the historical accuracy of any of the old stories. If we follow the Genesis record of the generations of the patriarchs listed as the direct descendants from Adam to Noah, there is an indication that only about 1,000 years passed between the creation of humans and the event, recorded as a world flood, which caused a mass extinction. Noah is identified as the tenth generation. The seventh generation is represented by Enoch, the great grandfather of Noah and the alleged author of the Book of Enoch. The Book of Genesis tells us that Enoch remained in the world for 365 years before he was “translated” or picked up and taken away by God. The other great patriarchs of that period lived an average of 857.5 years, with Methuselah topping the longevity list at 969 years. If the record is to be believed, it means that both Adam and Methuselah were contemporaries that may have even known each other. Adam, who was reported to have lived 930 years, would have still been alive when Methuselah was born 687 years after the Creation. The Book of Enoch was long considered a fictional myth because it deals with “angelic” visitations, their mating with the woman of Earth and the teaching of lifestyles that apparently brought humans out of caves. 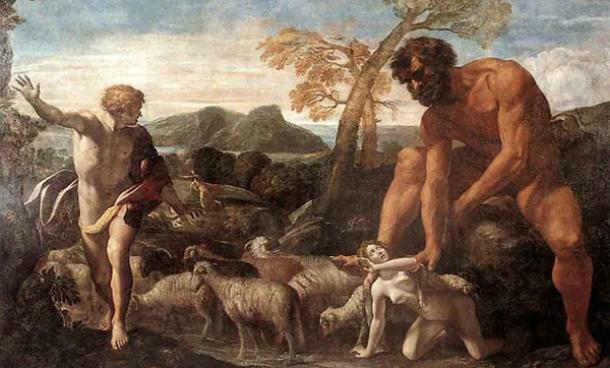 The story parallels Greek Mythology that speaks of gods coming down to Earth to mate with the women, and the Sixth Chapter of Genesis that reports the Sons of God coming down and having children with the women of the Earth. In all of the stories, the children were changed. They were “giants,” not only in physical stature but the change was seen in their mental ability. Were these children genetically manipulated or were they the result of successful cross-breeding between angels, or alien visitors and earthly primates? Consider how the primitive people of Earth would look upon alien ships over their heads, and the constant occurrence of having the women transported for implantation of DNA. Perhaps the women were already pregnant and the DNA was placed in the developing fetus, but the ancients did not know this. Thus they told stories of “gods of heaven” coming down and fathering children with the women of the Earth. That the special children are born with knowledge beyond their years, with an understanding of the stars and how to build cities and develop civilizations, made it appear as if they were “giants” or super humans with amazing knowledge and mental powers that far exceeded those of their earthly parents. In effect, this was true. That the Books of Enoch, Genesis and Gilgamesh describe this event and appear to date it before the world flood, suggests that there was a flood event in the Middle East, where civilization apparently had its origins. But it was not the world-wide cataclysmic event that caused mass extinctions including the dinosaurs. As mentioned earlier in this article, archaeological and geological evidence exists that indicates that humans were on the planet at the time of the dinosaurs, which means they were here millions, not thousands of years ago. The dinosaurs went extinct an estimated 65 million years ago. Two remarkable findings suggest that humans were on the planet, and hunting the dinosaurs, prior to their extinction. The footprint of a human that overlaps with a dinosaur footprint was found in the riverbed of the Raluxy River in Texas. These prints, both made in the mud of the riverbed, are estimated to date back to the Crustacean period. Archaeologists also found a fossil of a human finger and a man-made hammer in the same terrain not far away. In a cave in Peru are found stone carvings dating back 200 million years. Some of the pictures suggest a flying object above a herd of dinosaurs, with humans attacking the animals on the ground below with axes. These and other anomalies dug from deep in the Earth by both archaeologists and miners over the years, that include such things as a gold chain, a metal nail and the remnants of what appears to be a spark plug, dug from coal mines deep in the ground, suggest that humans have been on this planet for a very long time. The findings also suggest that the human race has risen to build great civilizations many times in the past, and then fallen. Something very strange involving human history has been occurring on this planet for a very long time. It seems that we have been put here for a reason, but that our civilizations have failed. Sadly, it appears that we are failing yet again. The question is, will there really be another chance, or are we living the end of human history?